Dr. Jojo Kottoor was initiated into dentistry in the year 2001 and completed his graduation from Dr. MGR Medical University, Chennai in 2006. 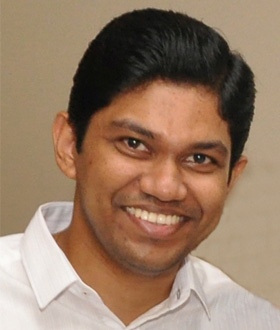 He then pursued his masters training from 2008 to 2011, in the specialization of Conservative Dentistry and Endodontics from Meenakshi Ammal Dental College, Meenakshi University, Chennai. He was bestowed with various laurels during his masters training which included ‘Best case report” for the year 2009 and 2010, best Postgraduate student and the University silver medalist for 2011. He also received a special appreciation award from the Indian Endodontic Society in 2011. He has also made valued contributions to Textbooks in his specialty and acknowledged as a Contributor in. Dr. Kottoor is actively involved in teaching undergraduate and postgraduate students for the past 5 years. He is currently academically affiliated to Mar Baselios Dental College, Kothamangalam, Kochi, India as a ‘Reader’. Additionally, he has also lectured as an invited and guest speaker at national and international platforms. Dr. Jojo has a special interest in complex diagnosis, anatomy of the root canal, pain-free dentistry and dynamic irrigation. He is currently the Associate Editor of Journal of Conservative dentistry and Endodontics and Editorial board member in Journal of Conservative Dentistry, International Journal of Pediatric Dentistry, Quintessence International (Qi) and Journal of Clinical Anatomy. In his spare time Jojo enjoys driving, playing basket ball, as well as spending time with his wife Minu and two adorable kids, Rose and Mathew.